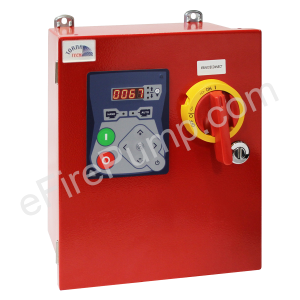 The model JP jockey pump controllers are specifically designed to control jockey pumps in order to maintain the desired water pressure in fire pump serviced systems. 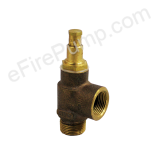 A jockey pump installation prevents unnecessary starting of the fire pump due to small leaks in the sprinkler system piping. Tornatech JP3 jockey pump controllers are both UL and CSA listed and meet IEC industrial control standards. The model JP1 meeta Nema 2 requirements. 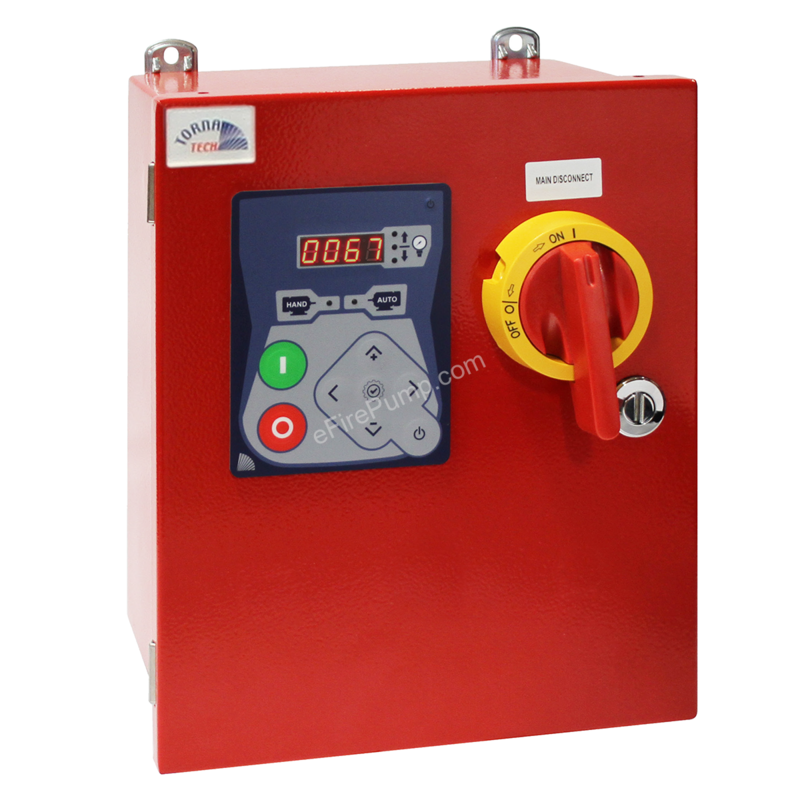 The model JP jockey pump controller is supplied with the front door mounted, solid state controls with digital iPD+ operator interface. The iPD+ allows the user to set and adjust all parameters required such as start and stop pressures, ON or OFF timers and units of measure (psi, bar, kPA, feet of head, meter of head) without having to open the controller door. 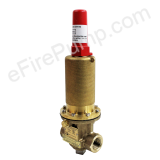 The iPD+ also continuously displays the system pressure and the start and stop pressure settings. LED visual indications include manual motor run, automatic motor run, system pressure above stop pressure setting, system pressure in-between start and stop pressure setting and system pressure below start pressure setting. 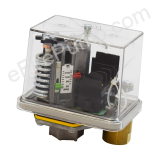 The standard power circuit consists of a horsepower rated disconnect switch, a thermo-magnetic motor protector and a motor contactor for across the line full voltage starting. Contact us for voltages and horspowers not listed. Typical lead time is about 1 week to ship.